I didn’t invent this. I’ve seen scarves all over the internet. 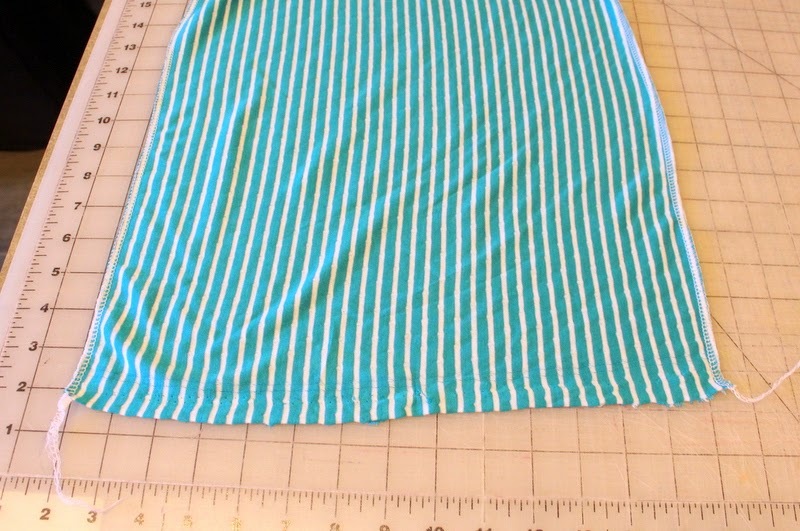 But I just adore this reversible knit fabric from Joann’s! 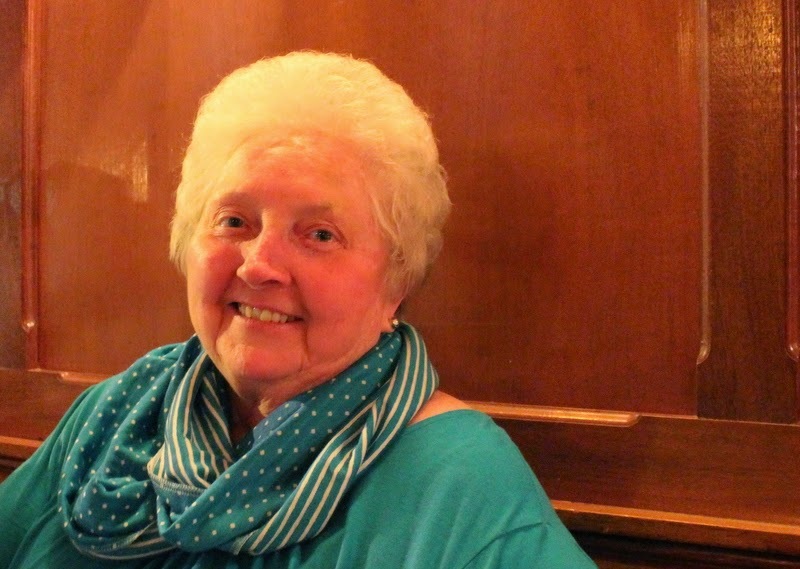 I used it to make my striped cardi. Online, I see it in purple and black, but I picked up this turquoise at our local store. I purchased 1/3 yard, but this piece is about 14″ wide, so i think they gave me a little extra. I serged both sides. If you don’t have a serger you can skip this step and leave the ends – they won’t unravel! Bring the long ends together and serger, removing the selvage as you do so. If you are using a regular machine, use a longer stitch. 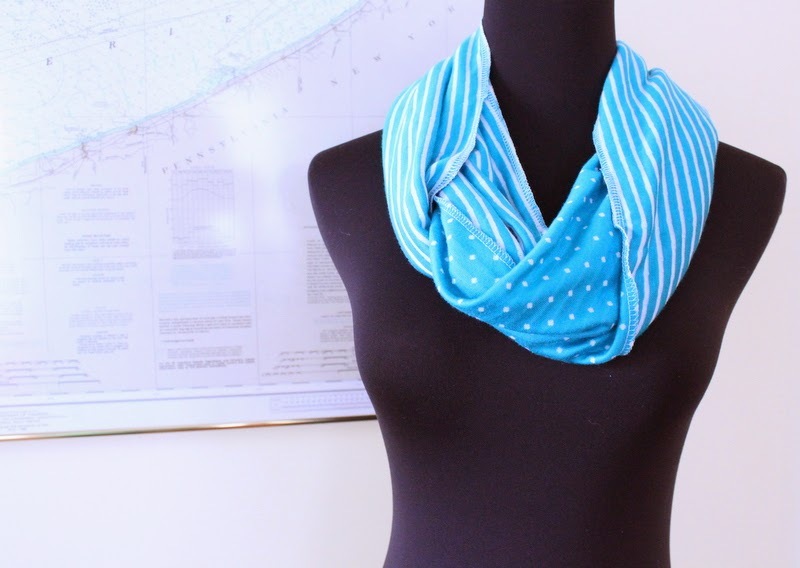 You can use a slight zig zag stitch if you ‘d like, but there won’t be a need for a lot of stretch. 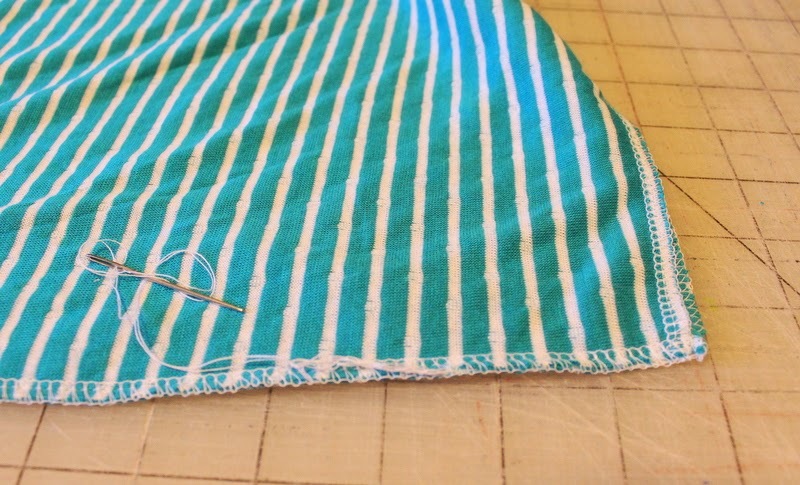 Use a needle to hide the serger tails inside the stitching. That’s it! 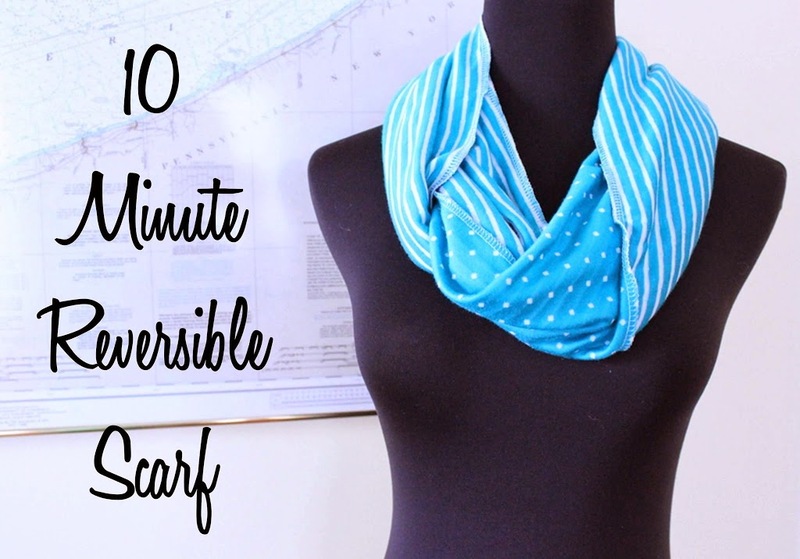 You have a scarf, ready to wear, in ten minutes! Here it is on my lovely friend! Turquoise is her color! I love this! Your friend is so pretty and the scarf is great on her!